Hello, and happy Sunday evening! I hope you have had an amazing week! Mine was mostly studying and getting settled here in Turku, but I did get some reading and moviewatching in as well. This is the summary of that week. 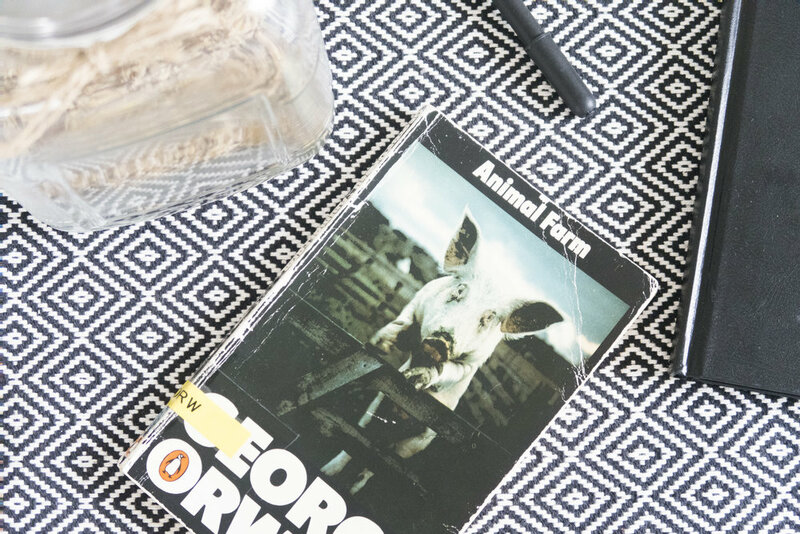 Animal farm is a short novel from 1945. It is a political satire, and tells a story about animals that do an uproar against their farmer, and then they build their own society. This story was quite interesting. It was funny to see how a book from 1945 still can be relevant today. But, the story wasn't really appealing to me. Nothing too bad, but nothing I would read again. 2/5 toasts. Into the wild is a movie from 2007, and I think that's around the time I saw it the first time. Or maybe half of it. So it was about time to see it again, and that movie really got to me. It tells a story about a college graduate who escapes the society, burns his money and go on adventure to live in the nature in Alaska. Along the way he meets a few interesting people, and er get to see a lot of his life out in the wilderness. This movie really got to me. I love how a human being can escape, and feel that freedom. Though I have a hard time to get the point of the movie. Is his escaping a good thing or a bad thing. I don't know, but I do know that this movie still lingers in my thoughts and in my mind. The movie is also based on a true story, which maybe gives it a lot more meaning. At least for me. 5/5 toasts. The minimalists podcast, number 094 | Budget. The minimalist, Joshua Fields Millburn and Ryan Nicodemus talks about budgeting and why they think it's important. Not the best thing I've heard, they have had better episodes. I think they talk very little about their subject, but they are fun to listen to, especially after a few episodes when you get to know them. It still gets 4/5 toasts. The mustards podcast, Let's stop making excuses. David and Jenny Mustard talks about how they are making excuses for little things, and how they go to the gym. A fun little podcast I listened to when I was out running (in the rain). 5/5 toasts. What did you read, see or hear this week?